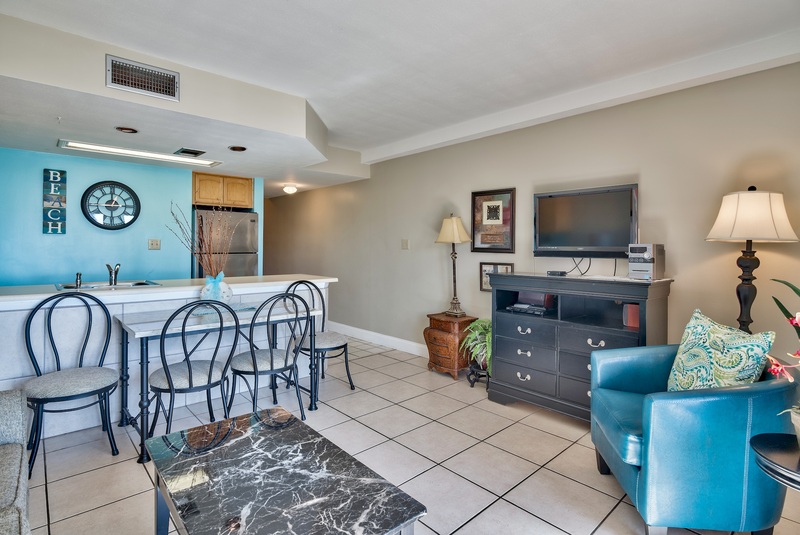 This unit is a beautiful one bedroom non smoking unit, 1 queen bed, 1 queen sleeper sofa. 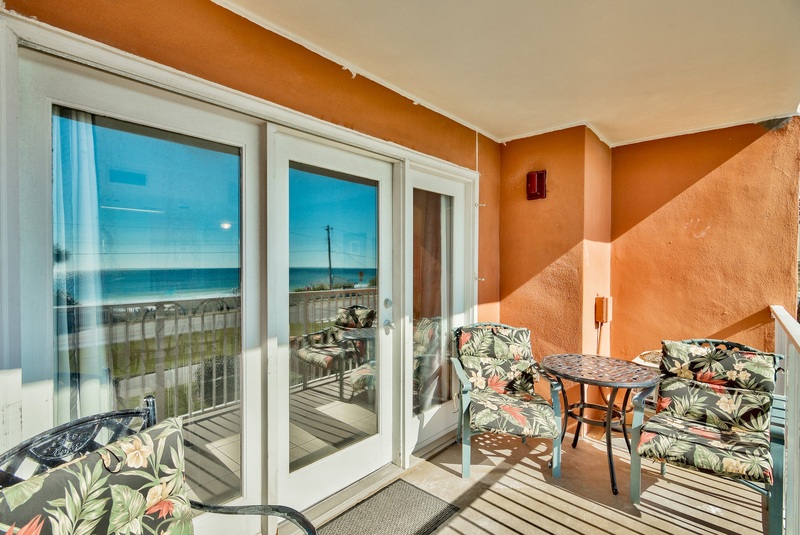 Look out your patio doors and you have an awesome view of the ocean. 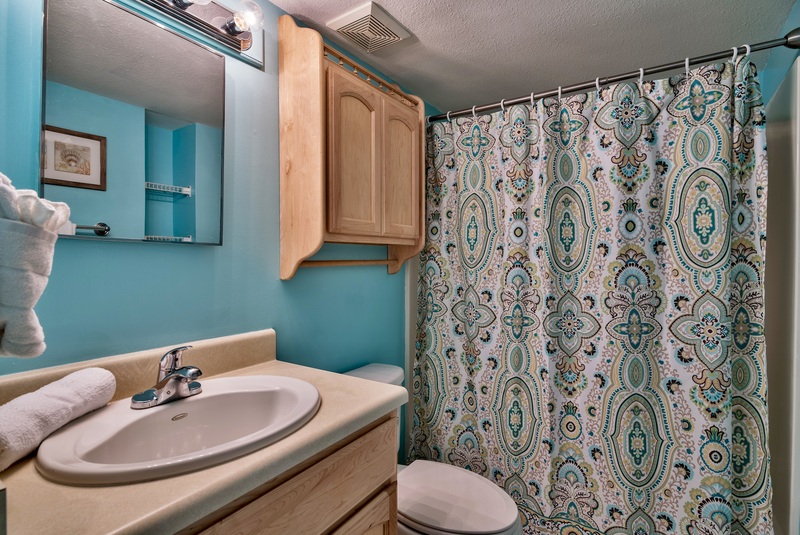 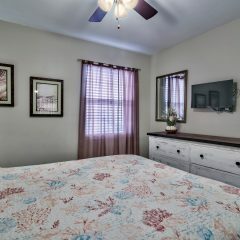 This is the perfect unit for a small family and the price is definitely right. 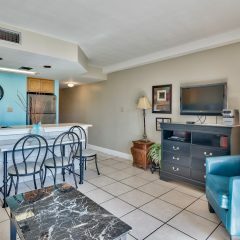 Beautiful condo, well kept and is in an ideal location. 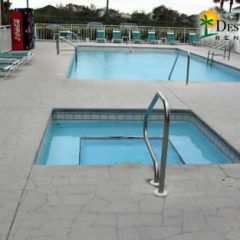 Thank you for helping make our return to the Destin area a very memorable one! 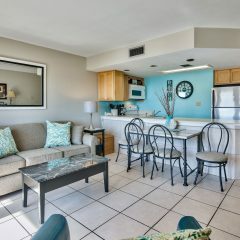 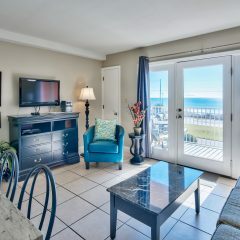 The unit has 1 bath and sleeps 4 , it virtually has everything you need for a wonderful stay at the beach . 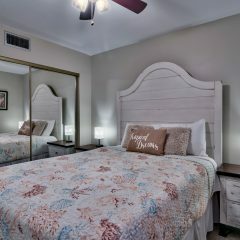 It is beautifully decorated with all the extras . 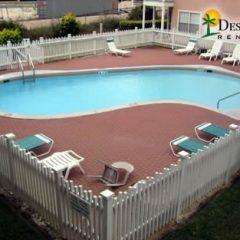 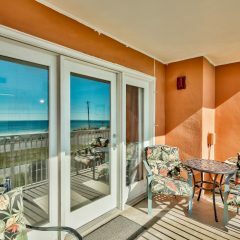 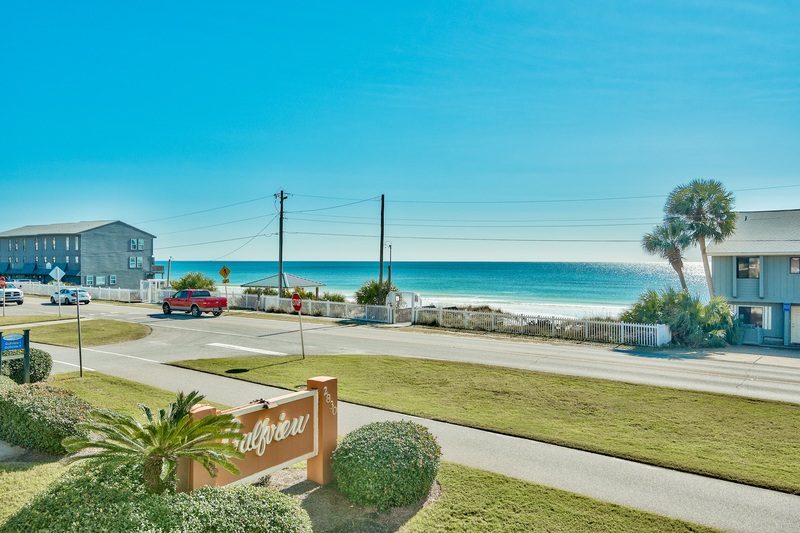 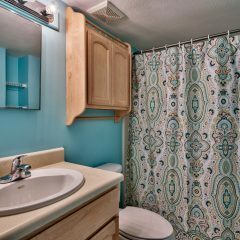 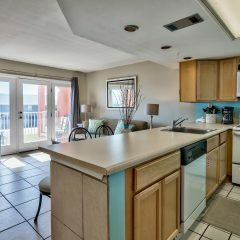 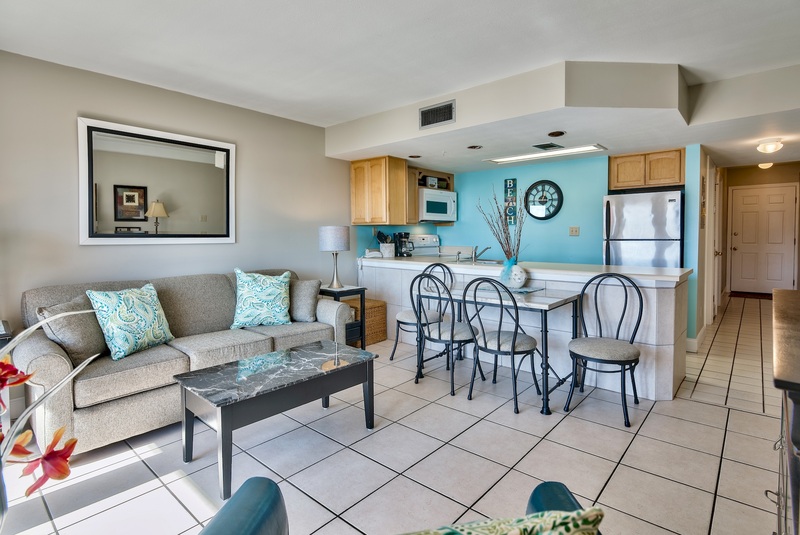 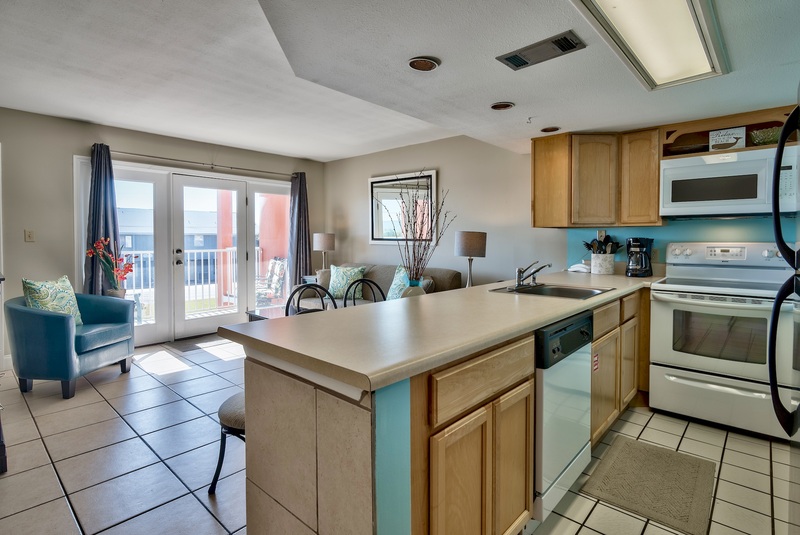 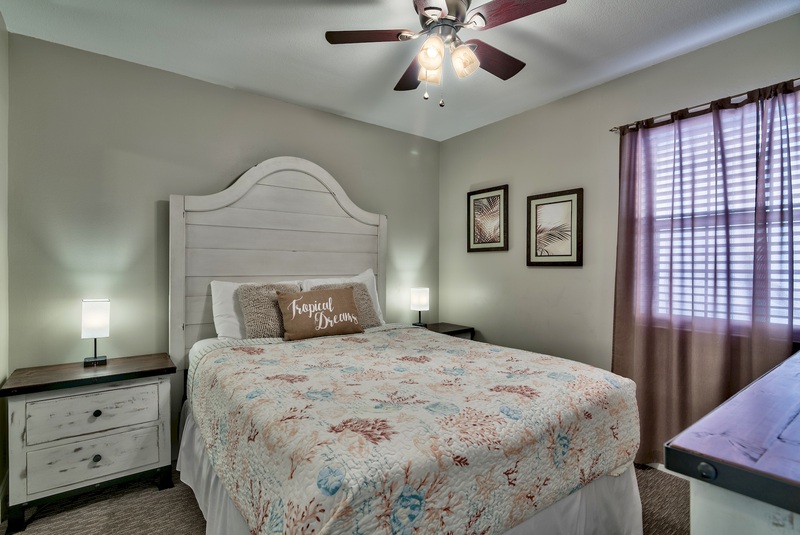 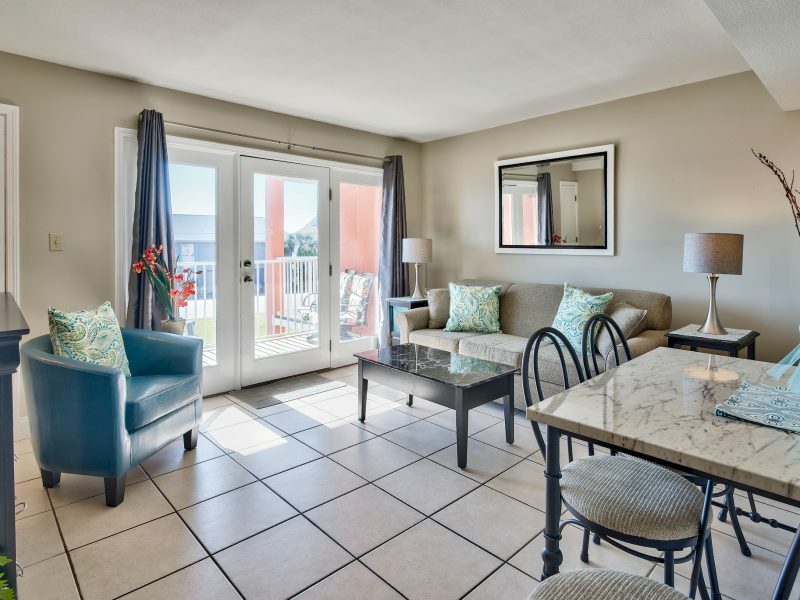 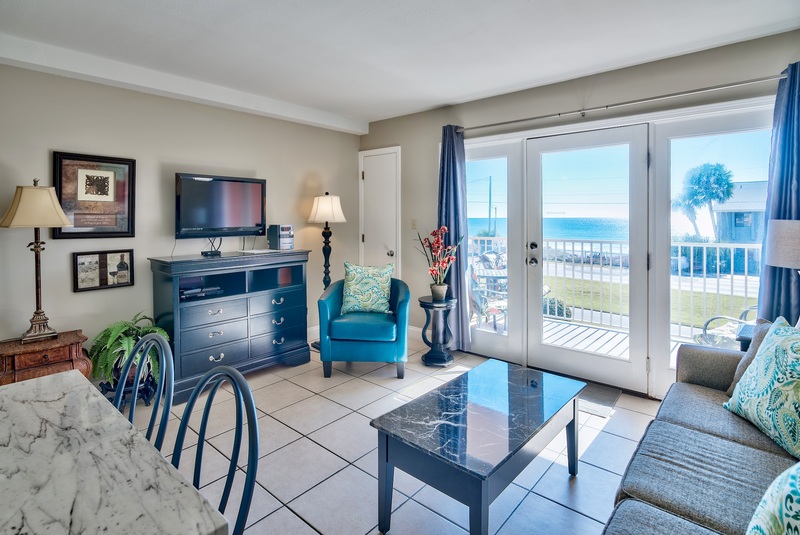 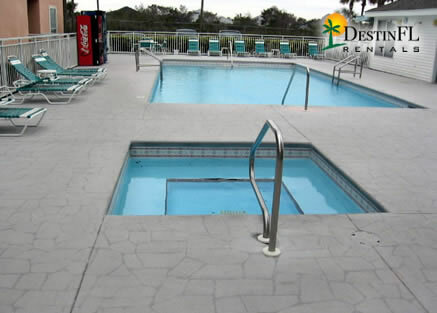 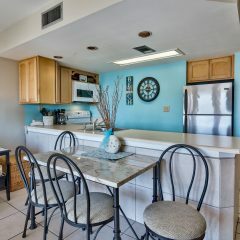 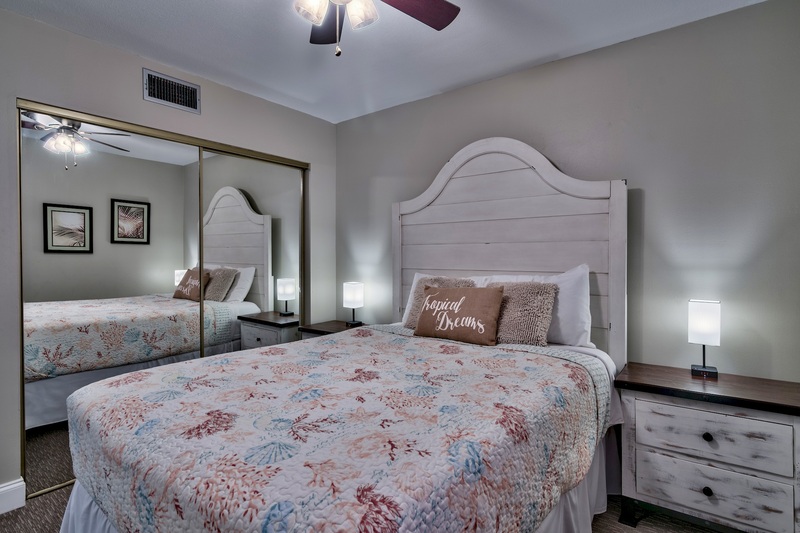 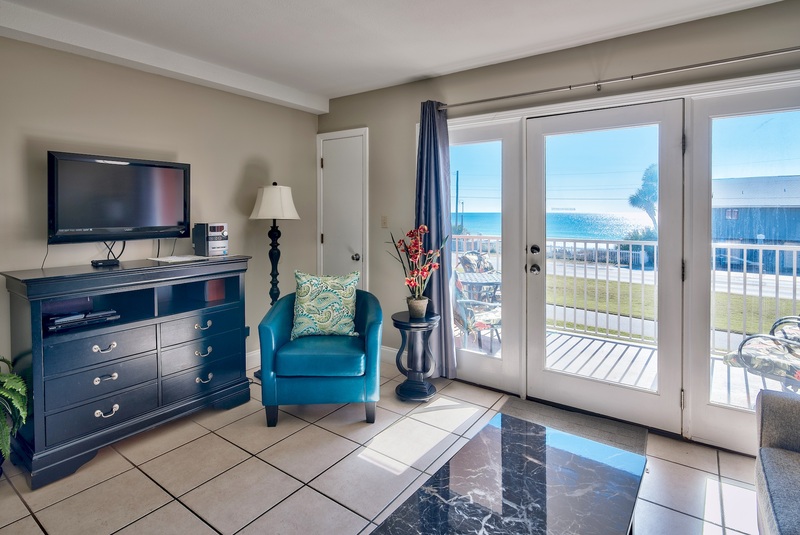 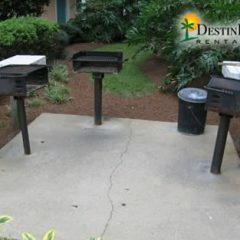 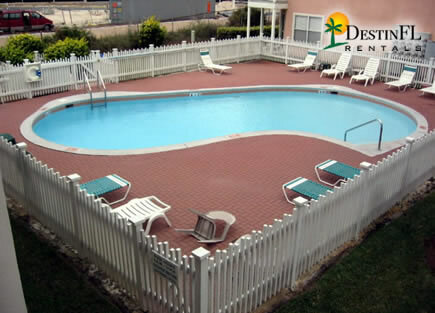 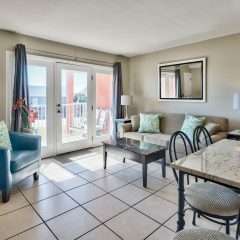 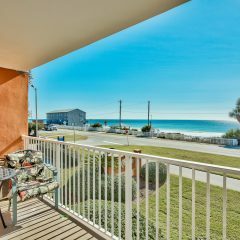 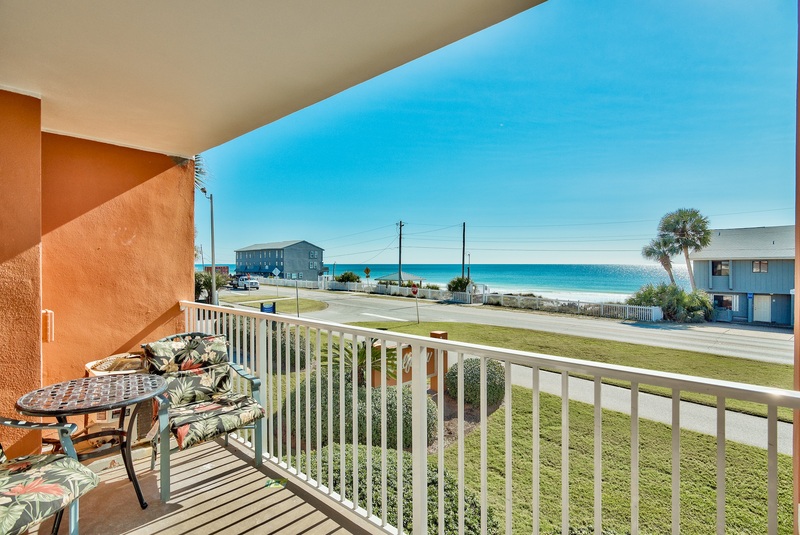 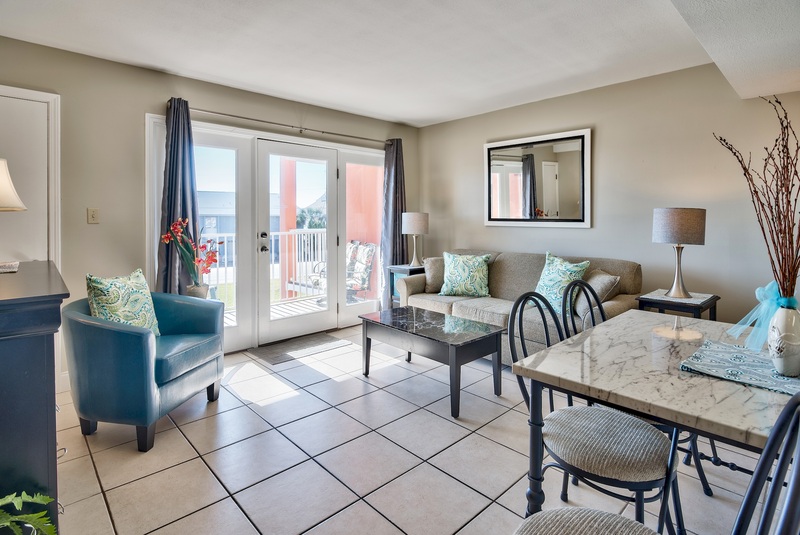 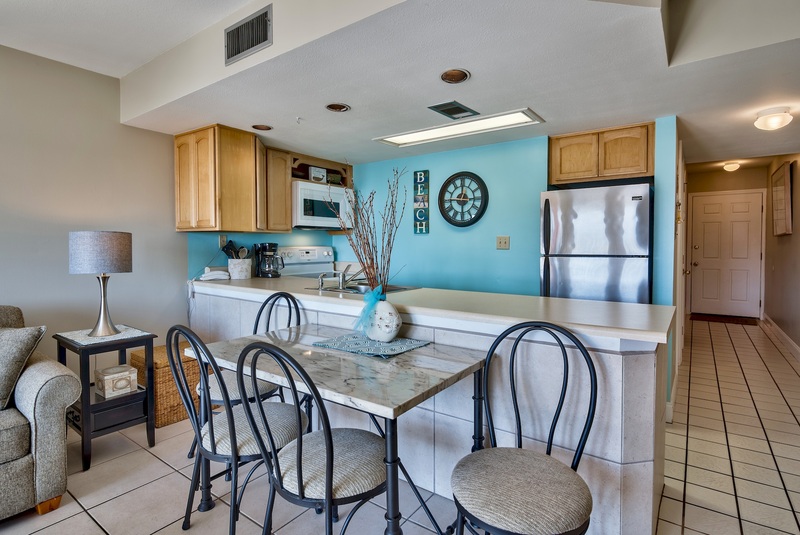 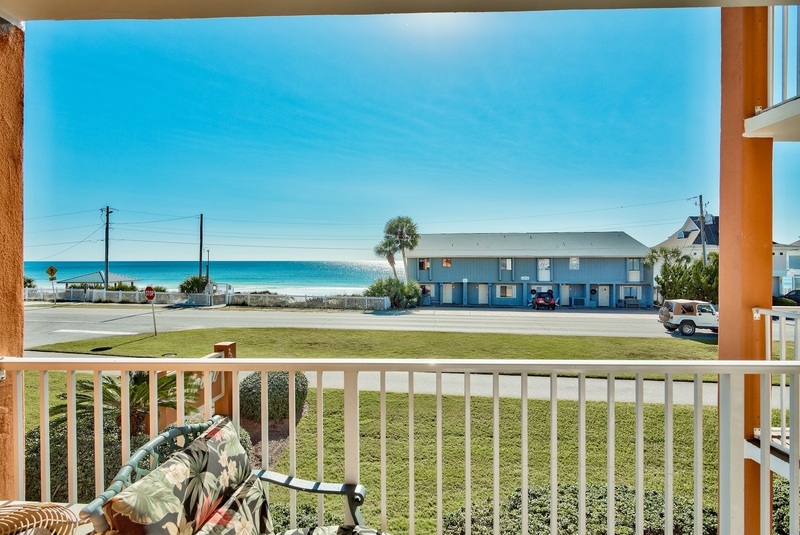 Gulf View is a great complex with a deeded private beach and is close to every thing in Destin. 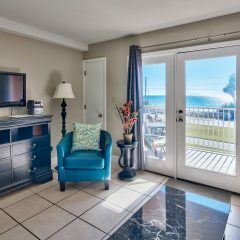 As a bonus for our guests we have a complimentary umbrella and 2 chairs that the beach service will set up for you every day in season, with no charge to you. 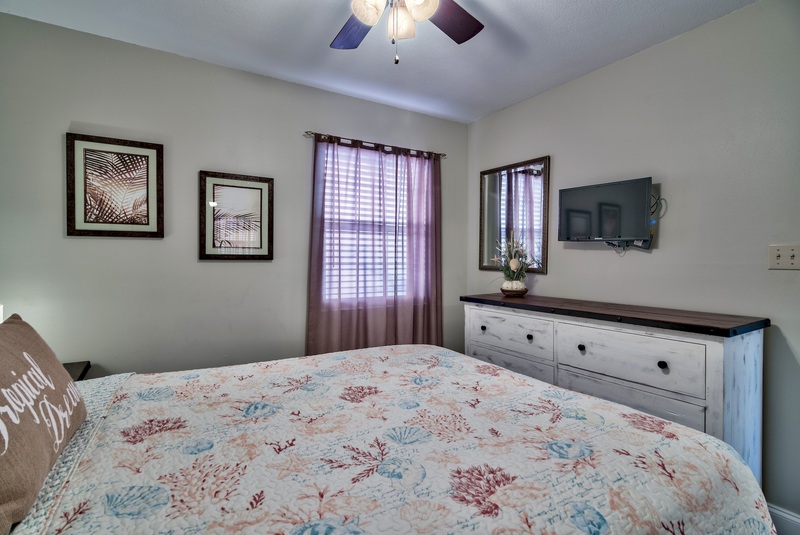 Come stay with us; we pride ourselves on our beautiful, clean units. 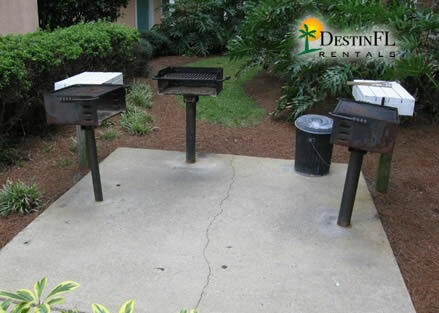 This unit is NOT pet friendly.